Since Sunday morning, many media reported that Lyca Productions, the makers of Shankar's most ambitious project 2.0 have decided to take legal action against an Oscar -winning American VFX studio. 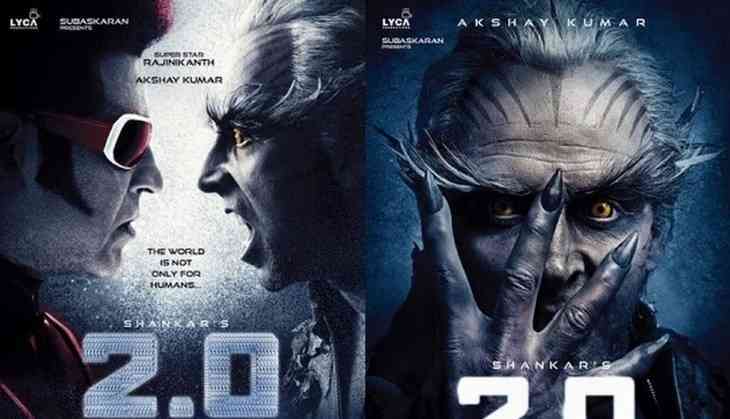 In fact, most of the media reported that the delay in VFX works has forced the 2.0 makers to postpone the release date of Rajinikanth, Akshay Kumar starrer to April 2018. However, a source close to 2.0 makers squashed the reports of taking legal actions against the Amercian VFX Studio. "It's true that we are facing significant challenges on the VFX front. But, the VFX company is not solely responsible for the delay. You have to understand that 2.0 is Asia's most prominent project and we have to make sure we deliver a world-class film. In fact, the VFX studio in question is very much part of the movie, and working round the clock to meet our deadline. Their groups of VFX supervisors are actively working in tandem with Shankar's directorial team to ensure everything is in place. And, we're not planning any legal action at all. There's no question of it when we have an excellent understanding between us", a source close to 2.0 said. "The number of VFX shots in 2.0 will be unlike any Indian film. While handling such a massive quantity, some hiccups are bound to occur. However, we are very determined that we should not compromise on the quality because of time constraint. That's the main reason for postponing the film from January to April 2018," the source added. You've got your DNA kit: Now what can you do with it? READ NEXT >> You've got your DNA kit: Now what can you do with it?